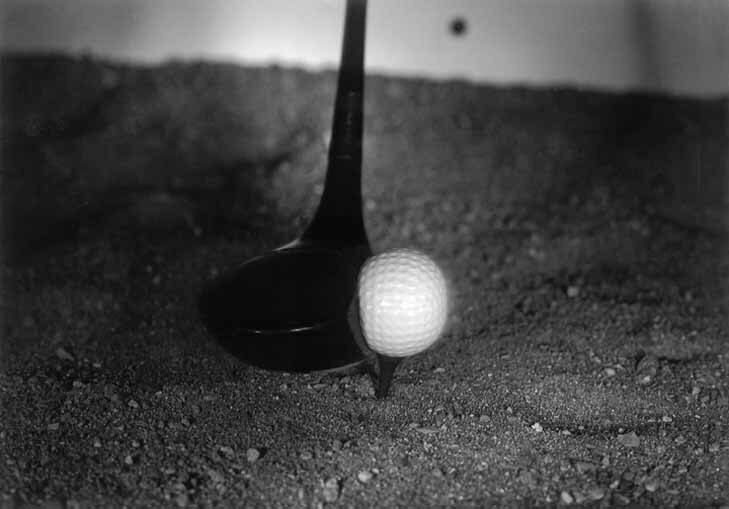 Even a reasonably light stroke is enough to compress a golf ball, as this series of photos taken at exposures of 1/50,000th of a second show. After the club head meets the ball, the ball recoils and becomes slightly elongated horizontally before heading off towards the fairway. This photo appeared in the third of a series of "Technology Review" articles featuring Edgerton's work. Between 1932 and 1940, many of Edgerton's images were introduced to the public in the pages of this magazine. Later on, "Life" and "National Geographic" spotlighted Edgerton's photographs. These publications helped to popularize the electronic flash with amateur and professional photographers and with the general public.